Do you eat the same thing for lunch, go through the same exercise routine, and fall into bed at the same time each night? Or maybe you've made a habit out of eating whatever looks good, avoiding exercise, and staying up as late as possible. John Dryden famously said, "We first make our habits, and then our habits make us." Confucius said, "Men's natures are alike; it is their habits that separate them." 1) Decide on the ONE habit that you would like to develop. It's tempting to pick up 3 or 4 healthy habits, but choosing just one new habit is realistic and doable. The obstacles I will face are 1) not having the energy to go to my session after work, 2) not having enough money to pay for sessions, and 3) not having my spouse's support. I will overcome these obstacles by 1) doing my workouts before work instead of after work, so I have more energy, 2) cutting down on frivolous spending to ensure that I can afford it, and 3) asking my spouse to support my efforts. 3) Commit fully to your new habit, in a public way. This could mean posting it on facebook, or simply announcing it at the dinner table. Put yourself in a position where you might be a little embarrassed to give up on your new habit. 5) Keep yourself publically accountable. This means either status updates on facebook or verbal status updates at the dinner table. Your friends and family are in a position to offer you support, so don't shy away from those close to you. 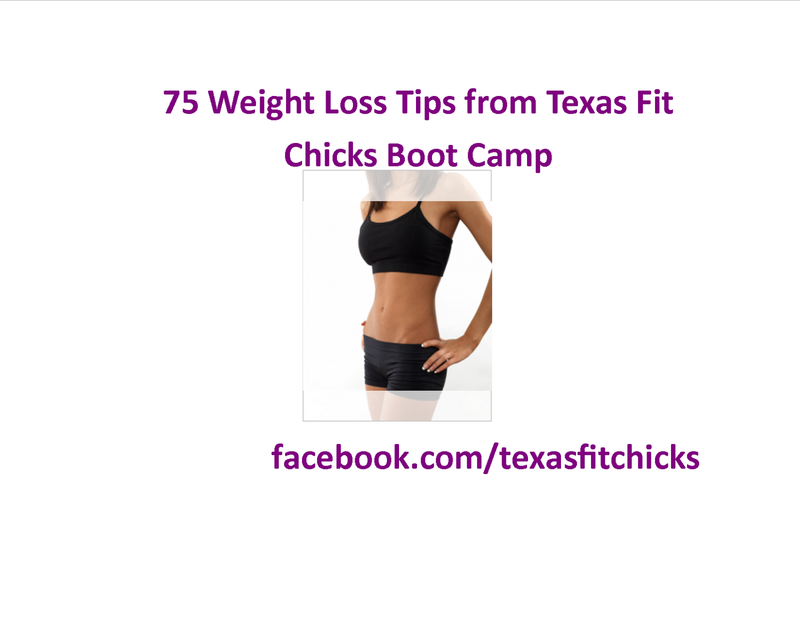 I'd love for Texas Fit Chicks Bootcamp to become your new healthy habit! 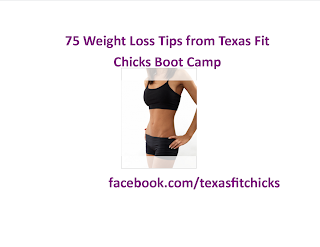 Call or email us now to reserve your spot. Enjoy this yummy and healthy recipe tonight!